Today I received the motion activated headset MH907 announced just two weeks ago. Sony Ericsson is well know for their accessory portfolio and MH907 further expands this with something completely new. MH907 is sadly only available for Sony Ericsson handsets with the proprietary Fast Port connection. So iff you have a Nokia or Samsung mobile phone, you won't be able to use this handsfree. But because Sony Ericsson are holding on to the Fast Port connection for combined handsfree and charging, some advanced handsfree devices are able to control mobile phone applications like the media player, volume adjustment and to select tune into another radio station. 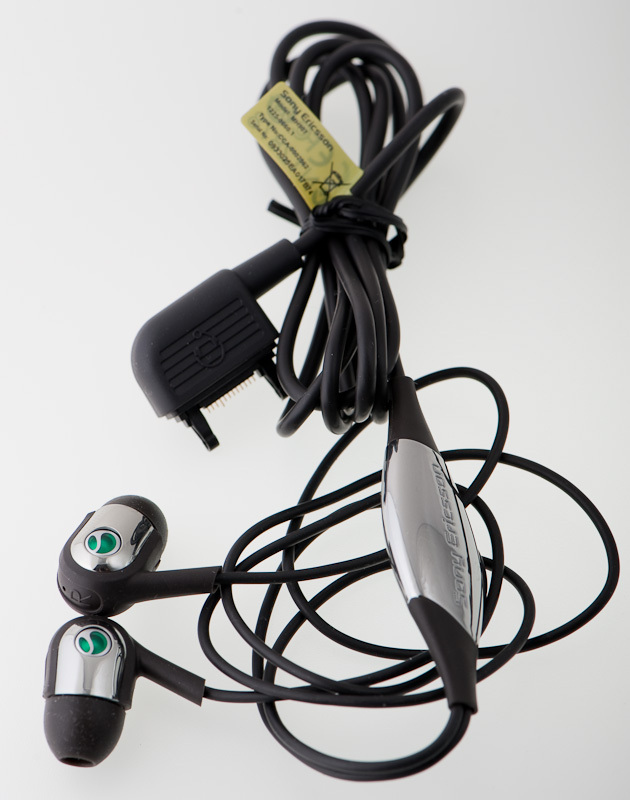 Sony Ericsson MH907 is a stereo headset with two earbuds and one speaker located at the usual place where the two earbud wires merge into one. 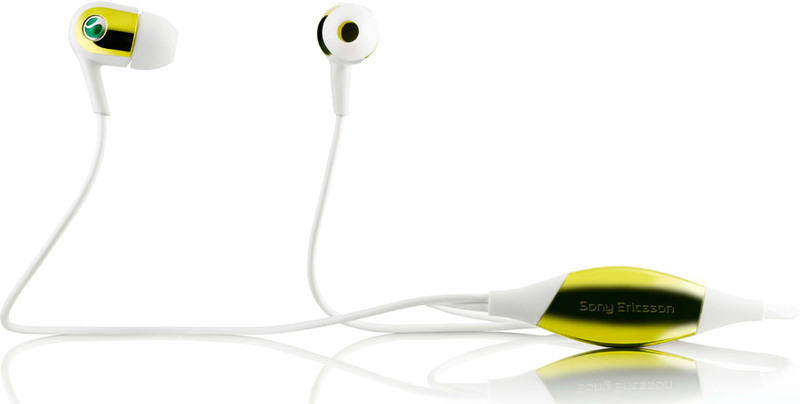 The special thing about this handsfree is that it is the first accessory from Sony Ericsson with the new SensMe Control. There are no buttons, just insert the earbuds into your ear to play music or answer a call. I haven't found out how the activation actually works. But I can confirm that the earbuds must be in direct connection with human skin to be activated. 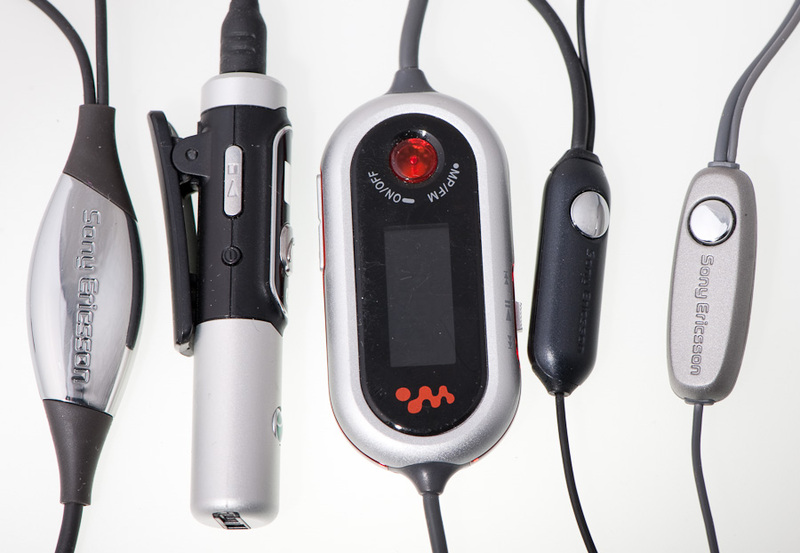 You won't accidentally answer calls by having the phone and earpiece in the pocket or purse. It might not be accurate to call the MH907 a Motion Activated headset. In my opinion, Touch Activated headset seems more correct. 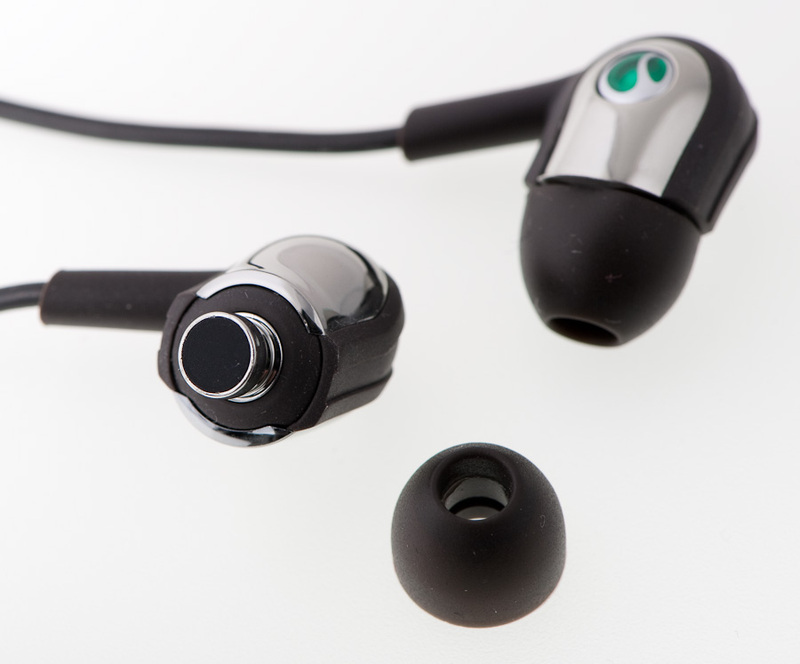 It is the part of the earbud covered by rubber that works as the on/off switch. The visible chrome looking plastic surrounding the Sony Ericsson logo is not part of the on-off magic. 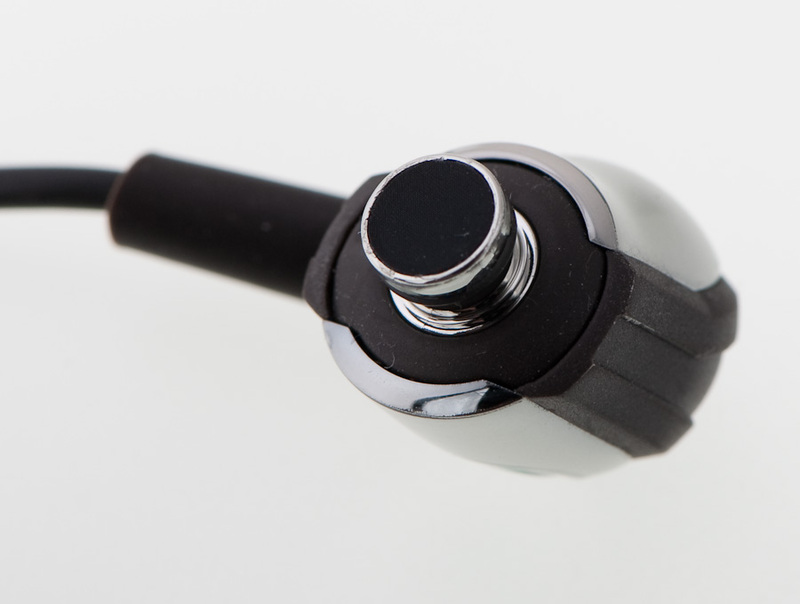 The shining part of the microphone also looks like chrome metallic, but it is made of light plastic as well. Your Sony Ericsson mobile phone will have a new sub-menu under the list of accessories when the MH907 is attaced to the phone. The menu options let you switch the sensors on or off, and change the settings for how the phone should respond to sensor activity. The default setting is Music player. The other two options are Radio and Off. But regardless of the chosen option, the last active application will be controlled. I can set default audio to Radio, but the Music player will start if that was the last used application of these two. 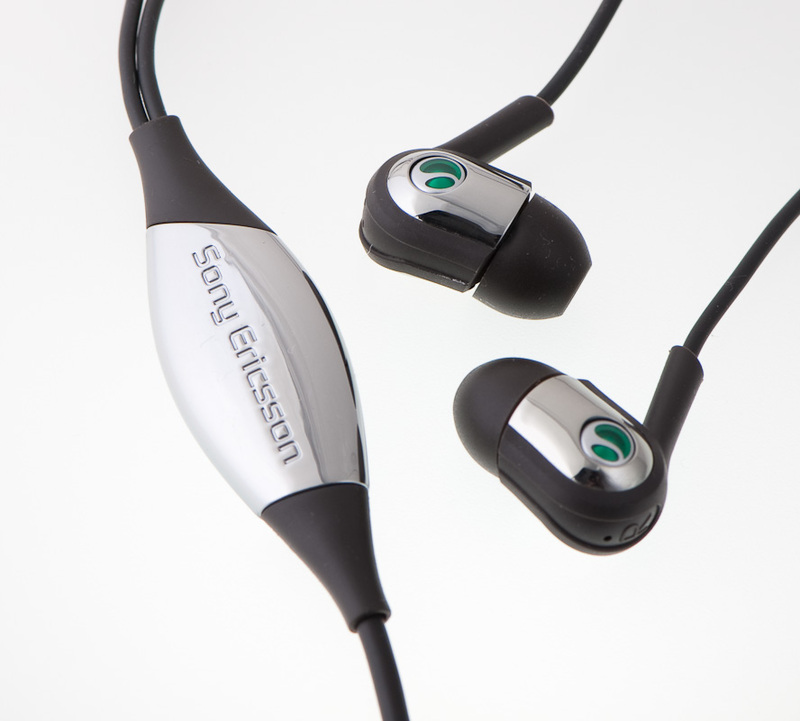 Sony Ericsson's idea about controlling the phone by handling the earplugs is clever. When I insert the earplug into my ear, I want one of two things to happen. Listen to music/radio or make/answer a phone call. Both these tasks are solved excellent by the MH907. Answering an incoming call is done simply by inserting one or two earbuds. 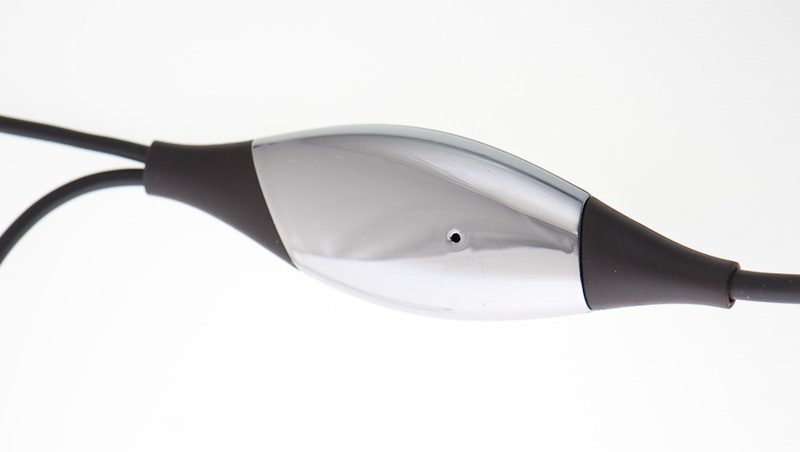 If you already have the earbuds inserted into the ear you just extract and re-insert it again. All eventualities are covered. 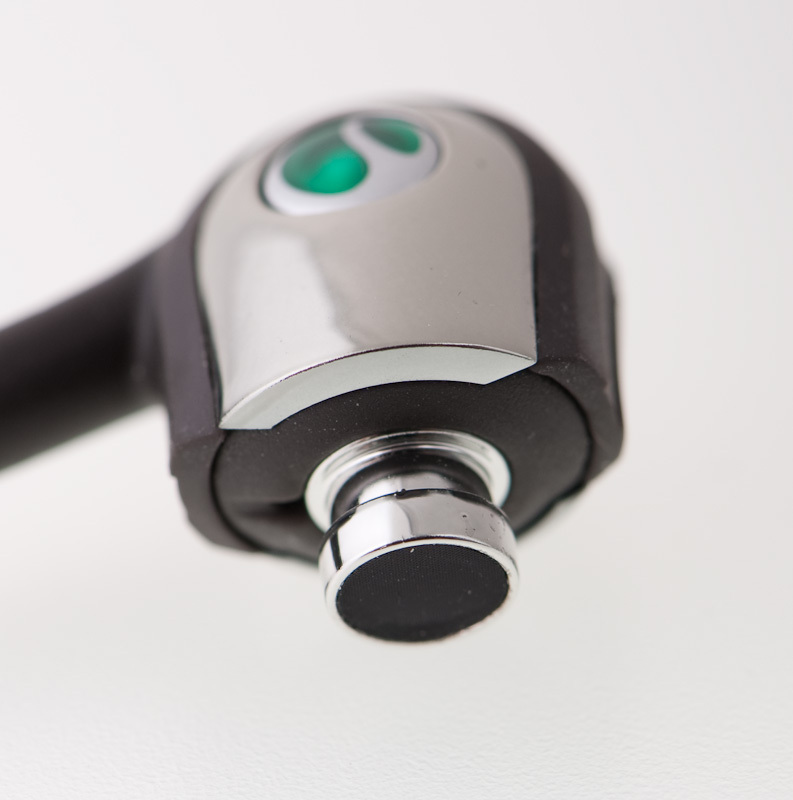 Ending a call is as simple as extracting one earbud for more than 2 seconds. To control the Music player or FM radio, you do the same thing as when you managed incoming calls. Two earbuds must be inserted to start the Music Player/Radio and start playing a song. If the Music Player/Radio is the currently active application it is enough to insert just insert one plug. I have used the MH907 for a week now and it works as expected. It should be said that I am a "earbud guy". I want to have two earbuds in place when talking in the phone. Not only when listening to music, but also when I am talking in the phone. Most Bluetooth handsfree only offer one earplug so I am forced to use wired handsfree or one of the few Bluetooth stereo headset like the HBH-DS980. Regular Bluetooth headsets usually gives me more connection trouble than the MH907 have done. The sound quality is as good as it gets with this type of handsfree (earbud-wearing style). Three rubber plugs are included in the package and one of them should fit if you have normal formed ear channel. Over-the-head headsets with larger speakers gives better sound experience but these are more expensive and not possible to store away in your pocket when not in use. So, why should you go for this particular headset? I can think of a couple of reasons; Price, Sound quality and lastly the well known must-have-the-coolest-gadget factor. The expected retail price of 39 EUR is affordable for most people, but if you have bought a new Sony Ericsson recently, your included stereo headset are not that much worse than the MH907. 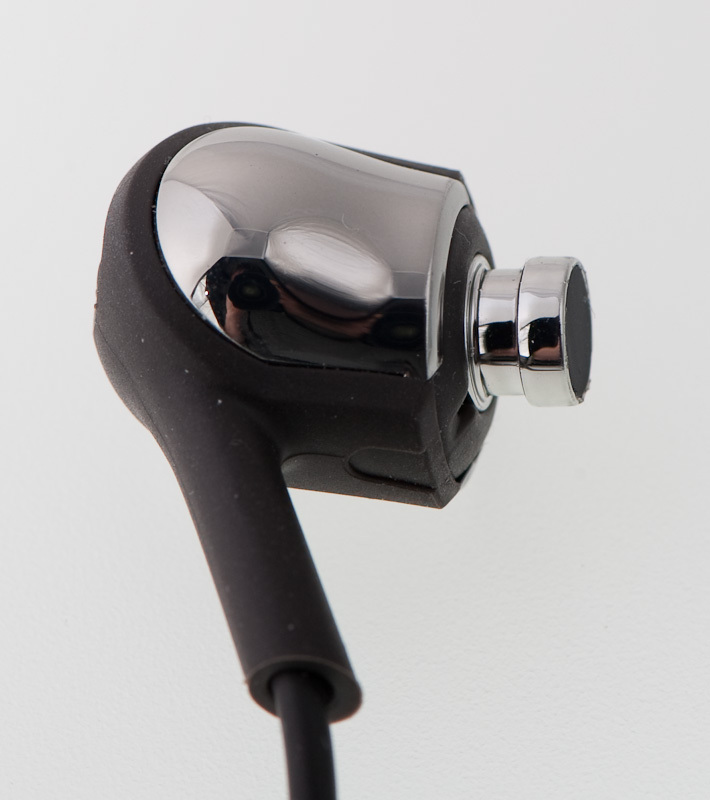 Sound quality is excellent and the bent V-form of the earbud prevents the plug from undesirable ejections. 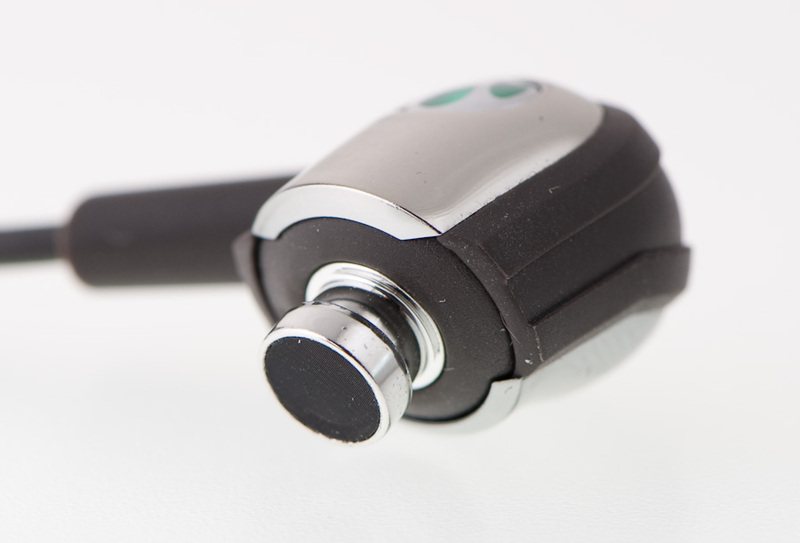 The plug stays where you put it and are not letting in any background noise. 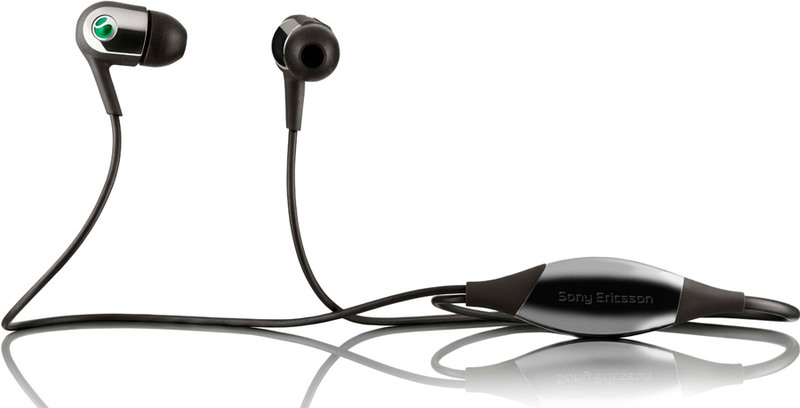 The Sony Ericsson MH907 is the first accessory available with this semi-automatic control for the music player. I doubt MH907 will be the last with the SensMe technology. It just works. And it works fine. how can i get the MH907?